The DIPFORTy1 is a powerful Xilinx based FPGA board with small form factor and many programmable I/Os. It is popular for its high performance at most competitive price. 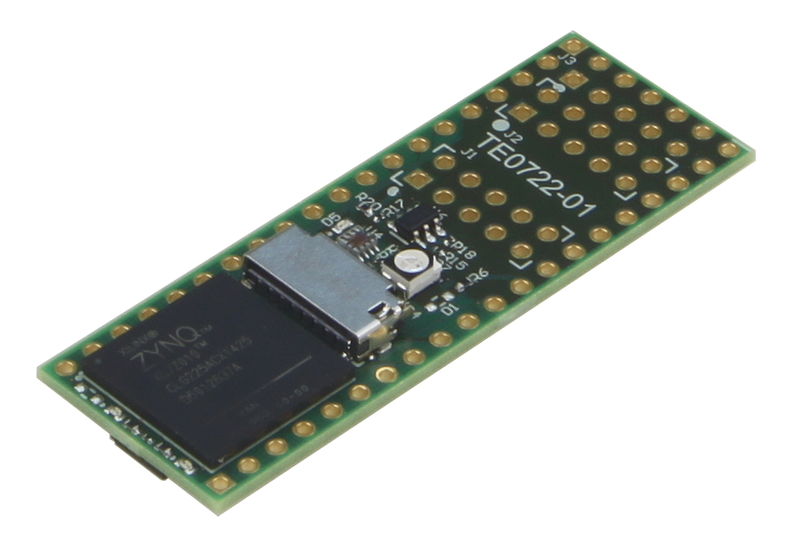 The TE0722 is based on the Xilinx Zynq-7000, a System on Chip. It contains a FPGA and a Dual Core ARM A9+ processor with enough logic gates to become a Propeller. 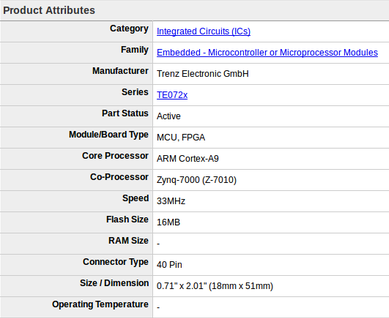 The board also has 16 MByte of flash used for configuration. Everything fits on a Propeller-compatible DIP 40 pin board. The 16 MByte storage space is good enough for primary boot, though a micro-SD card can be attached as MIO/ZYNQ secondary boot media. 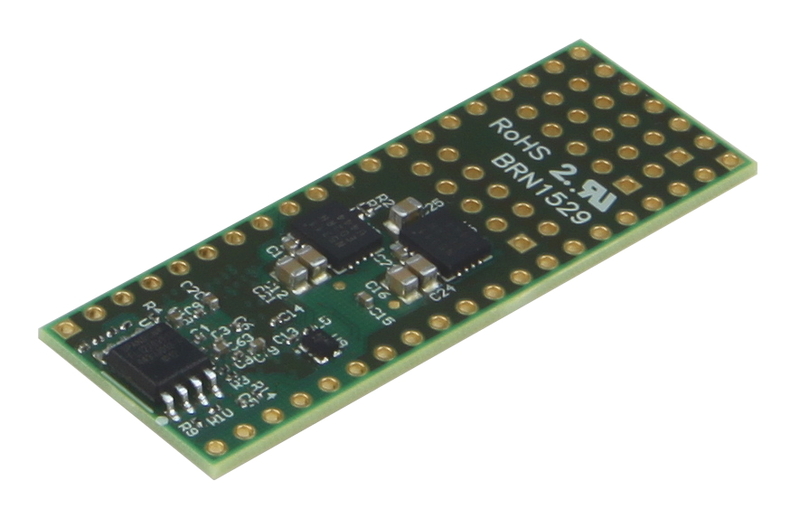 The DIPFORTy1 ‘Soft Propeller’ is the lowest cost Zynq based module ever made. 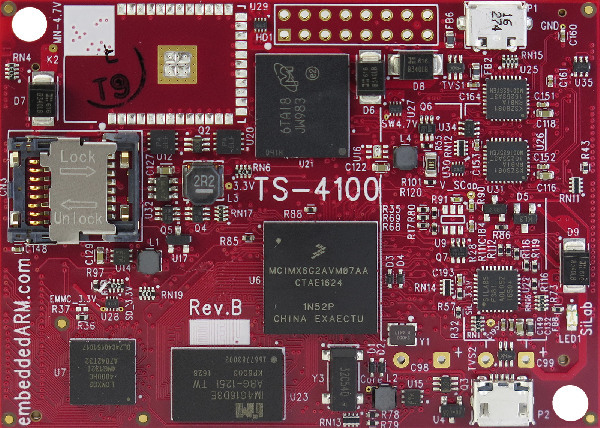 It’s also the first Zynq module that can use existing bases and project boards (Parallax Propeller chip compatibility). All this in a compact 1.8 x 5.1 cm form factor, at the most competitive price. It’s good to have some knowledge about FPGA before getting to know about DIPFORTy. field-programmable gate array (FPGA) is an integrated circuit designed to be configured by a designer after manufacturing. The FPGA configuration is generally specified using a hardware description language (HDL), similar to that used for an application-specific integrated circuit (ASIC). 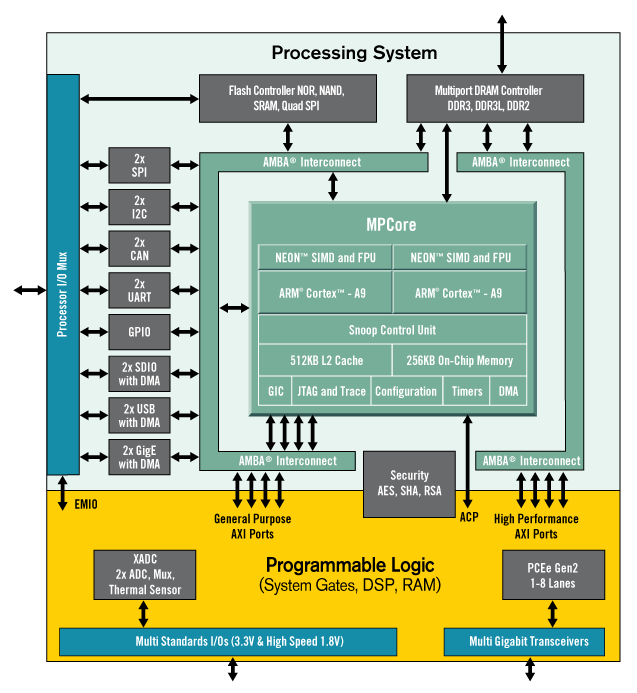 FPGAs contain an array of programmable logic blocks. The hierarchy of configurable interconnects allows the blocks to be “wired together”. It’s just like many logic gates that can be inter-wired in different configurations. Logic blocks can be configured to perform complex time-independent logics. Blocks also can perform merely simple logic gates like AND and XOR. In most FPGAs, logic blocks also include memory elements. It can be simple flip-flops or more complete blocks of memory. 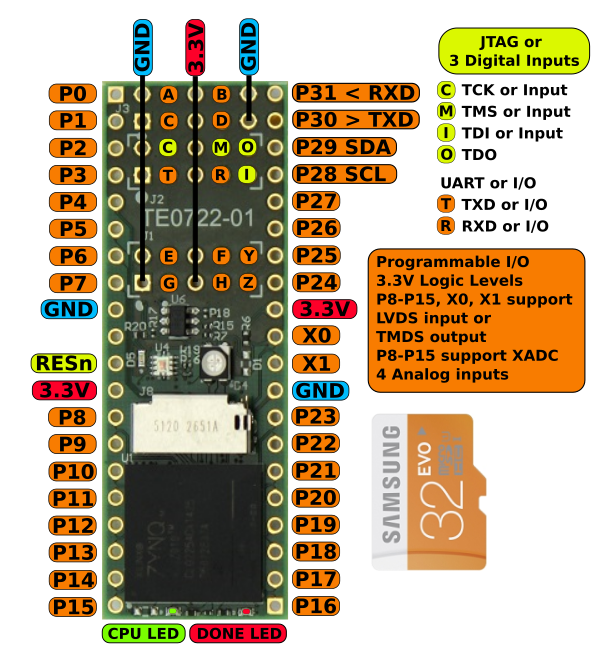 The FPGA board is designed using Xilinx ZYNQ-7: XC7Z010-CLG225. Zynq-7000 devices are equipped with dual-core ARM Cortex-A9 processors integrated with 28nm Artix-7 or Kintex®-7 based programmable logic for excellent performance-per-watt and maximum design flexibility. With up to 6.6M logic cells and offered with transceivers ranging from 6.25Gb/s to 12.5Gb/s, Zynq-7000 devices enable highly differentiated designs for a wide range of embedded applications. As the DIPFORTy1 is an industrial-grade Zynq-7000 SoC module, it’s highly powerful and appropriate for wide range of embedded applications including multi-camera drivers assistance systems and 4K/2K Ultra-HDTV. The board is totally value for money. You can purchase it from trenz electronic or Digi-Key. Vivado HL WebPACK Edition (free Version) is the recommended software.